Letvægts, aluminum støtteben udstyret med holdbart rustfrit stål låsning komponenter og grippy gummifødder at give dig en robust, skridsikker skydning platform. Uafhængigt-justerbar, fem-holdning ben strækker sig fra 5" til 9" og giver mulighed for op til 180° af front-to-back justering. Pander 30° til venstre eller højre for glat target tracking, plus 30° i cant justering gør det let at justere dit sigtekorn, uanset terræn. Tilgængelig med tre indstillinger for vedhæftede filer: en hurtig-løsne Picatinny løftestang mount, en mere permanent to-skrue Picatinny mount eller en No-klemme montering indstilling, der passer til enhver 17S størrelse løftestang-stil mount når du bruger den korrekte adapter (sælges separat), herunder Arms-17S, amerikanske forsvar AD-170, Badger Ordnance VAGABONDEN, eller LaRue taktisk LT271. I purchased an Atlas bipod for my AR10 and I liked it so much i bought another one for my .338 Lapua, as well as the Accushot monopod. The ability to cant and pan the rifle is a great feature. Accushot is an excellent company that makes quality products. 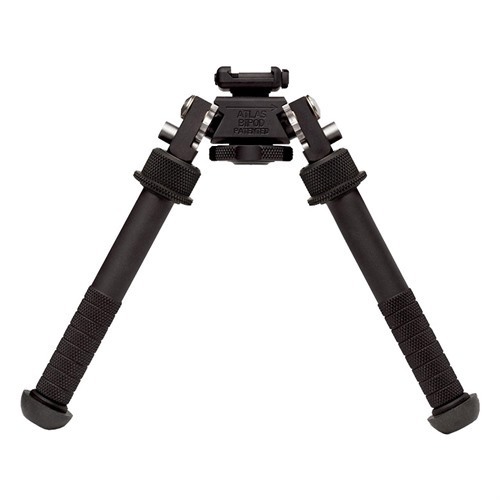 There are several accessories that they make for the atlas bipod including leg extensions and interchangeable feet. The QD Lever makes it easy to change the bipod between rifles. It's very useful for all purposes with own accessories. Quality and precision made. Light weight. Easy mounts. Could be used with any carbines and rifles I think. These adjust in so many ways you simply can't find a better unit for any purpose. My favorite feature: Extend the legs fully, then run them parallel to the barrel and finally, angle them off to the side of the gun. You can now get a nice, steady rest on something that is not in front of you; ie: a tree trunk or branch that is on your side which gives you steady a shooting platform yet unobstructed movement vertically. *Note: By "not quick to deploy" I mean they're slower than other styles; still easy and very versatile, just not as quick as others which may not be good for a immediate action. This is my second Atlas Bipod. The first one was flawless and I gave it to one of my shooting buds as a going away present. He snapped it on his M1 and immediately said "this just isn't fair!" Since the last thing I want to be is fair, I'm getting a second one. It is a flawless piece of equipment. Well worth the extra cash. I did a LOT of research before buying this Atlas bipod. I've gotta tell ya, out of all the gear I've used over the years, this blows them all away. I wasn't sure which rail mount to use with it so I went with the 5-slot rail. No need to buy one, though, if you have a 3-slot rail mount. That will work just as well and save you a little $$. The quality of the entire bipod is excellent and the quick detach lever is first rate & very easy to use. The degree of horizontal and vertical motion and the ease of mounting on uneven terrain make this the absolute best gear for the $$. And for the guy who mentioned "quick react drills" in a previous post...if you're looking to use a bipod during reacting and movement to contact, you obviously have never been in combat. Never waste your time with bipods in those situations. After searching for the "perfect" bipod for almost a year, I found this gem! I used a Harris product as it was a good balance between quality and cost. But it always seemed to lack in what I was looking for, Something Rock solid. Easy to adjust, Easy to attach/remove, interchangeable feet for different terrain. With the Atlas unit I dont have to put a heavy preload on it, the tilt and pan are simple to adjust. Once adjusted it STAYS adjusted, I dont need multiple bipods as it is Super easy to swap between rifles with the quick release, just add a rail to the fore end. I am so impressed with the stability when fully extended, also the one handed operation. Then there is the overall weight, Less than a Pound. Did I mention how quiet it is to adjust? This is as good as it gets when you talk bipods. There is no better at any price point. After I recieved my Atlas Bipod I read an article that the U.S. SOCOM has adopted this unit into the SOPMOD kit. This just confirmed what I knew, the best dont settle for 2nd best! If I ever need another bipod, It will most definately be an Atlas Bipod. I use this on both my AR's, a 10/15, my custom bolt action precision Rifle and my 10/22 target rifle. Easy to attach, strong sturdy mounting system, easy to use with a wide range of adjustments. My use is long range shooting (out to 1,000 yds) with a custom bolt action rifle. If you need "quick interchangeability between rifles" choose one of these with the lever lock mounting system. I put this on an AR in 6.8spc with a YHM LW tube. I have not used any other Bipods and do not like to buy multiple items so I got one of the best. I really am glad i spent the extra money now instead of later. This is incredible. I can not say enough good things about it. Buy it and you will not regret the extra cost. very good quality piece. i use on a custom remington .308 in a McMillan m40a3 stock. have this bolted to a small picatinny rail on the front bottom of stock. highly adjustable, and very easy to preload. I wish I had gotten the quick attach model instead of the 2 bolt model so I could use in on different rifles while not having to unbolt it. That said, it is a nice product. Worth the high cost over a Harris. 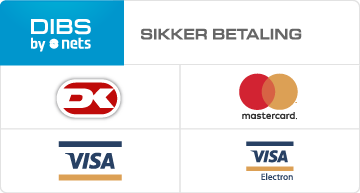 Mfr Part: BT10 Letvægts, aluminum støtteben udstyret med holdbart rustfrit stål låsning komponenter og grippy gummifødder at give dig en robust, skridsikker skydning platform. Uafhængigt-justerbar, fem-holdning ben strækker sig fra 5" til 9" og giver mulighed for op til 180° af front-to-back justering. Pander 30° til venstre eller højre for glat target tracking, plus 30° i cant justering gør det let at justere dit sigtekorn, uanset terræn. Tilgængelig med tre indstillinger for vedhæftede filer: en hurtig-løsne Picatinny løftestang mount, en mere permanent to-skrue Picatinny mount eller en No-klemme montering indstilling, der passer til enhver 17S størrelse løftestang-stil mount når du bruger den korrekte adapter (sælges separat), herunder Arms-17S, amerikanske forsvar AD-170, Badger Ordnance VAGABONDEN, eller LaRue taktisk LT271. Mfr Part: BT10NC Letvægts, aluminum støtteben udstyret med holdbart rustfrit stål låsning komponenter og grippy gummifødder at give dig en robust, skridsikker skydning platform. Uafhængigt-justerbar, fem-holdning ben strækker sig fra 5" til 9" og giver mulighed for op til 180° af front-to-back justering. Pander 30° til venstre eller højre for glat target tracking, plus 30° i cant justering gør det let at justere dit sigtekorn, uanset terræn. Tilgængelig med tre indstillinger for vedhæftede filer: en hurtig-løsne Picatinny løftestang mount, en mere permanent to-skrue Picatinny mount eller en No-klemme montering indstilling, der passer til enhver 17S størrelse løftestang-stil mount når du bruger den korrekte adapter (sælges separat), herunder Arms-17S, amerikanske forsvar AD-170, Badger Ordnance VAGABONDEN, eller LaRue taktisk LT271. Mfr Part: BT10LW17 Letvægts, aluminum støtteben udstyret med holdbart rustfrit stål låsning komponenter og grippy gummifødder at give dig en robust, skridsikker skydning platform. Uafhængigt-justerbar, fem-holdning ben strækker sig fra 5" til 9" og giver mulighed for op til 180° af front-to-back justering. Pander 30° til venstre eller højre for glat target tracking, plus 30° i cant justering gør det let at justere dit sigtekorn, uanset terræn. Tilgængelig med tre indstillinger for vedhæftede filer: en hurtig-løsne Picatinny løftestang mount, en mere permanent to-skrue Picatinny mount eller en No-klemme montering indstilling, der passer til enhver 17S størrelse løftestang-stil mount når du bruger den korrekte adapter (sælges separat), herunder Arms-17S, amerikanske forsvar AD-170, Badger Ordnance VAGABONDEN, eller LaRue taktisk LT271.